▪ The perfect blow dry is bold and bouncy with subtle hold for a runway style. ▪ It helps deliver a soft conditioning feel without weighing the hair down with silicone alternative conditioners. ▪ It gives lift and volume, natural feel and movement. 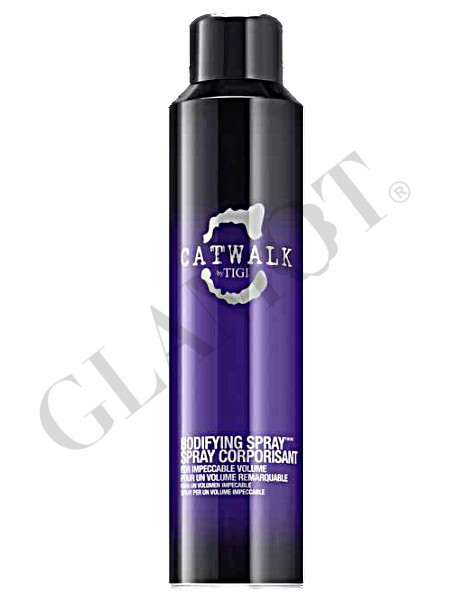 This bodifying spray contains a cocktail of shape creation polymers that add style control for a sophisticated look, pump volume into your style for a big, bold dry result. Spray all over damp hair and style with a brush and hairdryer.